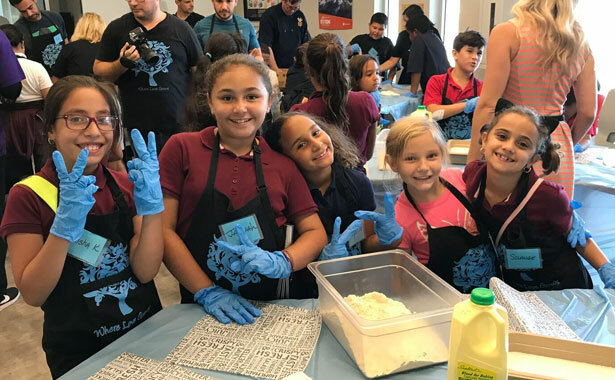 Last Wednesday, October 17th, our Tampa Bay team partnered with Where Love Grows and the Boys and Girls Clubs of Tampa Bay to teach 20 students how to perfectly bread our famous PDQ chicken tenders. Our Executive Chef, Michael, took the lead in showing the future chefs how to bread and fry the chicken tenders all by themselves. The Sauce Bosses in training got a little messy but showed some extra tender love and care when preparing their crispy snacks. The best part? The students all got to enjoy their perfectly hand-breaded tenders at the end of the lesson. Who knew learning something new could taste so good?